Today I am wearing a cute maternity top and leggings. The top is roomy and comfortable, warm, but not too hot and it's pretty flattering. The best part- it was gifted to me. Yesterday morning I woke up feeling weary and overwhelmed and more exhausted than I had the night before. It was one of those mornings where the thought of lifting the covers takes physical strength. I woke up frustrated and my inner groaning grew louder and louder. Happy New Year! Did you have a wonderful celebration of 2012? I hope so and I hope that this year brings you joy and peace and love and good health. So yesterday we talked about the cloth diapering system we use at our house. Today let's talk about why I cloth diaper and some myths associated with swaddling a behind in cotton. 1. I am cheap. I am very, very cheap. I was buying diapers from Amazon, and even that was expensive. 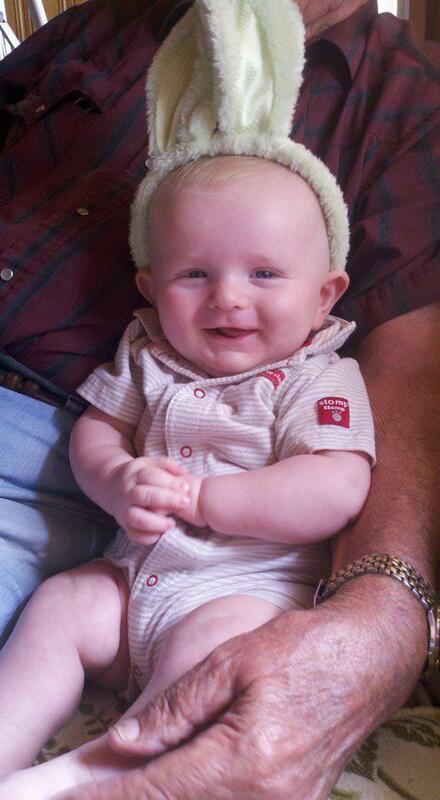 With cloth I could buy one time and they would fit him (hopefully) until he outgrew them. 2. I read the average baby goes through 3,000 diapers in his or her lifetime. I think my baby went through that in the first six months. That is a lot of diapers that won't decompose. 3. Fear got all up in my business. I read somewhere about diapers bleached in Dioxin. This might be fear mongering. It might be true. I don't know. All I know is my baby's business was red, a lot. I assumed it was the chemicals. But why not just eliminate that if it scared me. Once I combined these three things I decided it was time to get cloth diapers. Now, I have stated before and I will state again. We are not 24/7 cloth diaperers. I have great respect for the women who are. But I am not one of them. Also, I don't think I am any better, or worse because I use cloth diapers. It's just what I wanted to do. The end. During my research on cloth diapers I had a lot of questions. And boy did I get some answers. Myth: Cloth diapers are gross. All diapers are gross. The only diaper that isn't gross is the one that's never been worn. Myth: But you'll constantly be touching poo. Nope. No poo touching here. Just use a diaper sprayer , or in most cases just shake it off over the toilet and you're fine. Myth: You'll change their diaper more. I still change his diaper six times a day, which is what I did before I switched. Myth: I don't want pins near my baby. Then don't let your baby play with the sewing kit. My cloth diapers have cute little buttons. They are all in one. No pins here. Myth: Your baby will get diaper rash. I don't think this is really related to cloth over disposable. I think diaper rash is a number of factors. In fact, his bottom seems to get irritate less. Myth: They will make your house smell bad. This would be true if I didn't put them in a sealed bag and wash them often. Myth: You'll do more laundry. Hello! I have a baby and a husband who works outside in the Alabama heat! I do laundry every day/every other day any way! Myth: It's expensive and it uses up a lot of water and electricity. Refer above answer. If you're washing your laundry anyway what's the big deal. I wash the diapers with the towels, wash cloths and underwear on hot water using mild detergent. These are things I need to wash on hot water anyway. Then I hang them on the clothes line because the vitamin D in the sun kills the bacteria. This sounds time consuming and maybe for you it would be. But to me it's peaceful. As for the cost, it cost me $72 to buy 12 diapers I can use through potty training. That's a bargain! Fact: Cloth diapering isn't for me. You're right. It might not be. It isn't something everyone wants to do or should do. If you're repulsed by the idea, don't do it. If you don't have time to do it, don't do it. Like everything else in raising a family, you have to do what's best for your family, not what you think other want you to do. I hope this has answered your questions though. Thinking about cloth diapers and don't know what kind to buy? AllaboutClothdiapers.com have come great answers. This post contains links affiliate links to Amazon. I do get a commission if you make a purchase. I am not asking you to, I am just trying to be up front with you guys. 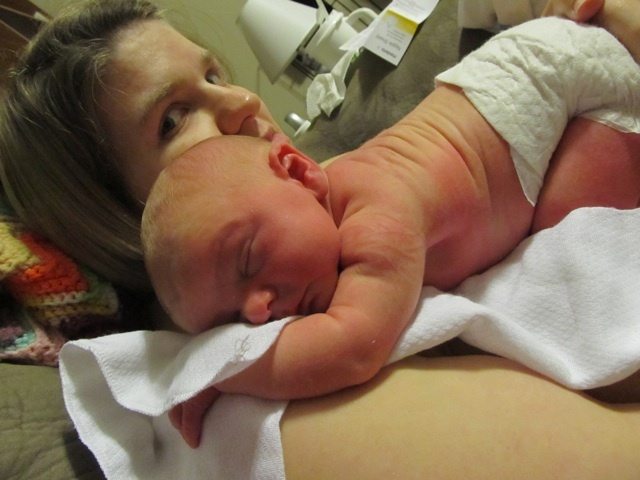 Before I had a baby I seriously thought about cloth diapering. Then I realized how much babies pooped and thought better of it. Then I realized how much diapers cost and reconsidered again. This diaper feels a little strange!Then I did some research, purchased a dozen cloth diapers and have been using them during the day time for about a month. It has been, fabulous. These are not your Mama's cloth diapers with the pins and the plastic pants. These are cute, economical, time friendly devices that are way easier than I ever imagined. That's not to say there isn't a little bit of work involved, but it's minimal at best. Note: We are not cloth diaper T-Totalers. We don't use cloth diapers at night, or while traveling or when we have a babysitter. Like everything else that comes with having a baby, it is all about balance. You have to decide what works best for you and your family. I admire those women who cloth diaper 24/7. They know a secret I don't. I thought I would break down my cloth diapering system a a part of Life As Mom's Frugal Fridays. The owner is Sun pei. She had the best prices and amazing customer service. Four around $70 I got a dozen diapers and 24 liners. 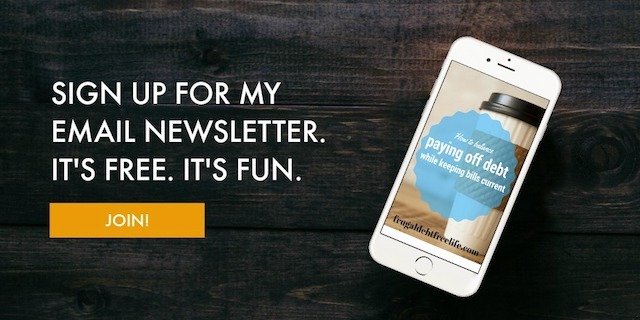 I didn't want to sink a ton of money into something if it wasn't going to work out for our family. She had a variety of colors but I knew bleach would be involved so I just bought white. The cleaning: When it's time to change the diaper I simply take it off of my boy, clean him like I would if he were wearing a pampers, and throw the wipe in the diaper genie. Then I pull out the liner and throw the liner and dipey in a wet bag like the Planet Wise Diaper Pail Liner - Avocado . You can purchase some really cute wet bags at Etsy. Or you can make your own. I just use an old resuable shopping bag with a zipper. If the diaper is... shall we just call it what it is?... poopy, I shake it off in the toilet and rinse. I reccomend a bumGenius Diaper Sprayer . Then pull out the diaper liner and spay it with Bac-Out too. Then I spray the diaper with Bac-Out w/Foaming Action Sprayer 32 Ounces . It's made from live culture and lime enzyme and breaks down any stains. It smells good and is safe. Also, it gets the stains out. You can spray this stuff on any stain. It got olive oil out of a dress!! The washing: I wash my cloth diapers every other day. I throw them in the machine with towel, wash cloths, underwear, anything that would need to be washed on hot water. I put them on the regular cycle and use Tide Free and Gentle High Efficiency Unscented Detergent, 50 Ounce (Pack of 2) . 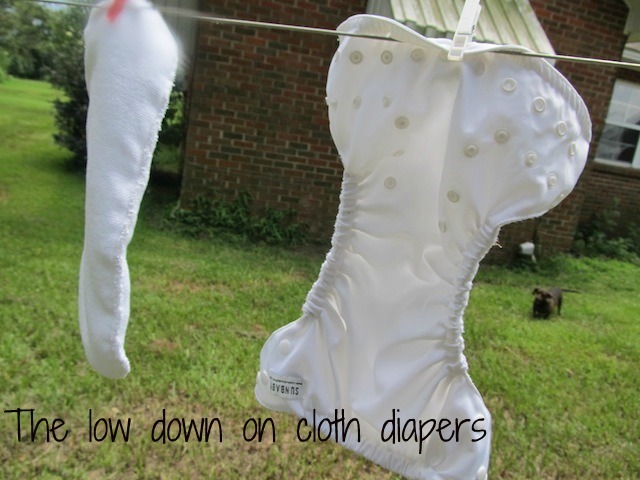 I throw the liners in the dryer and hang the diapers on the clothes line or over a chair on the back porch. I know it sounds like a lot, but it really isn't. Tomorrow I will cover a few facts about cloth diapering, a few basics and how to get started. For more check out this video from Mama Natural on her cloth diapering set up. This post contains links affiliate links to Amazon. I do get a commission if you make a purchase. I am not asking you to, I am just trying to be upfront with you guys. This is a blog about food and this is a blog about babies but this isn't a blog about baby food. If you want a great blog about baby food, I highly recommend Sarah Eleanor over at Spoonfed Baby. She is witty and smart and full of knowledge. So I reccomend you go there to get your info on baby food making. But I do want to talk a little bit about the advantages of making your own baby food. The other day I got a coupon from Publix in the mail. It was for $1.50 of Beechnut Baby Food. The baby food was also on sale BOBO. So I was able to get eight jars for $.64 total. That's fantastic! But it is also largely unheard of. I put the jars in the cabinet for use when we go on vacation. Had it not been on sale, those eight jars would cost me $4 or more. While $.50 a serving seems like no big deal you have to consider this- I can make baby food for $.10 or less per serving. Note: I pulled this out of the freezer to photograph. And yes, I am reusing baby food jars in the freezer. Last week I got a bag of organic carrots on sale for $.99. I was able to make 11 containers of homemade baby food for that. That is $.09 a container. It was simple. I chopped the carrots, put them in the rice cooker/steamer of all things. Let them steam for an hour. Then I poured the carrots and some of the water from steaming them into a blender and let them blend away. It required little effort on my part and required no special equiptment. It saves money and I know exactly what is in my baby food. I tried and tried for weeks to get my baby to adhere to a schedule. Then I realized scheduling a baby was like trying to stop a flood with a plastic spoon. It was a sign of my own insanity. So I took three deep breathes and calmed myself right on down. That's when we fell into a routine. Now that I am working from home more and picking up clients for my and sponsors for this website I have had to find a way to put myself on a schedule. Here is a rough outline of how our day goes. 5:18 a.m. - I hear an alarm going off. It's Beardface UnStoppable's (that's my nickname for my husband. His real name is Jason). He hits the snooze and I roll back over. 5:30- Beardface gets up. I tell him goodbye but it's muffled by my pillow. 6:15- Someone is hungry. I somehow always know that the baby is awake, even when he isn't crying. I snuggle with him in my bed and feed him, change him and put him back to sleep. 6:45 - I stare longingly at my bed. I decided to make it so I won't get back in it. (Disclosure: Making my bed means pulling up the comforter and walking away.) Sometimes this is the only "housework" I will get done. There is no time for a shower this morning. I have just picked up a new client and I have an ongoing project with another. I am also putting together an ebook. If I am going to put a dent in all this I need to get started before little man gets up again. 6:50- I am dressed and have a cup of coffee in my hand. Throw a load of laundry in the machine. Dump clean clothes on a chair in the living room. I will walk by those clothes about a dozen times today and swear I will have them folded. I never do. Spill coffee on the floor. I read my devotional and get to work answering emails and working on projects. Somewhere around 8:30 Little Bits wakes up. I clean him up, dress him and we sing for a little while. Then I put him in his baby gym to play while I wrap up a few things. 9 a.m. - we both eat breakfast. He is now up to 3 small meals in-between nursing. Today it's oatmeal for everybody. 9:30 a.m. - He plays in his high chair while I do the dishes or get dinner plans together. 10 a.m. - He has to be rocked cuddled before he will go down for a morning nap. I talk to him or read to him. Then I put him in his swing for nap. I dread the day he outgrows it. Then I get back to work. Today a client needs me to write him a letter. I am also wrapping up a ghost writing project. 11:30- Sweet boy is awake. I change him and feed him.-- at some point here I eat again. Noon- 2 p.m. Then we play. I keep a notebook near by to jot down ideas and to do lists. I also use this time to run errands. 2 p.m. Baby boy gets more solids at this point. We listen to music while he eats. I dance. He laughs. It's a sweet time. 3 p.m. It's time for another nap. He usually fights this one hard, but he needs it. 3 - 4:30- He naps if I'm lucky. He will be an ill pill if he doesn't. More work time for me. I think I might get that laundry folded- I don't. Between 5-5:45 Daddy is home! Jason feeds the baby. I finish supper. Do more work. 6:30- Jason and I eat. 7:15- bath and story time. I make the coffee for the morning. Lunch gets packed for tomorrow. 8- I think the baby is asleep. Jason puts him to bed. 8:07 - Just kidding! He's awake. More snuggling, walking, bouncing, shushing. 8:45 - He is asleep this time. I hang out with Jason, FINALLY fold that load of clothes. Get more clothes together to dump in in the morning. 10:30- We read our devotional and get in the bed. 11 - ??? I lie in the dark and make to do lists in my head. 5:18 a.m.- I hear an alarm going off. The past few days have been less than easy. As evidenced by the cookie dough incident. I was stomping down the stairs to the laundry room, my heart and laundry basket heavy. It was hot, I was tired, the baby didn't want to nap, I was frustrated with the 1,000 other things that had gone wrong (stolen debit card, our dog ran away). I did not want to carry my laundry to the garage. "Why can't the laundry room be in the house?" I huffed. "A man designed this because men don't hold screaming babies while they do the laundry." Then I caught a whiff of something. Something that make something in the back of my memory stand up. The scent of gardenias. They are my favorite flower. Our first home had a gardenia bush planted in the front yard, it was given to me by my daddy. When we sold the house the bush stayed and it made me a little sad. But here in our rental, tucked in the corner of the yard, was a long-neglected gardenia bush that was nearly overwhelmed by another vine. It was in full bloom and it smelled amazing. I put down the laundry and walked over to the gardenias. How many blessings have we all forgotten we have tucked away because life has gotten too stressful? When I was a little girl we used to sing this song in children's church called "God's Still Working on Me." There is a line that says "It took him just a week to make the moon and the stars, the sun and the Earth and Jupiter and Mars. Loving and patient he must be, because God's still working on me." Only I heard, "on vacation he must be, because God's still working on me." I must have, as a seven-year-old, thought I was such a piece of work that I even God needed a break from me. Well guess what? God is still working on me. I pray for my son everyday. I prayed for him before he was born. I prayed for him before he was conceived. I pray constantly that he will be protected. That he will be safe. And I pray that he will one day have his own relationship with Jesus. That last prayer has led me back to praying for myself. That I, as his mother, would be a good example. You see, I have a little problem with my mouth. As my mother used to say, it overloads my rear end. I am quick tempered, quick to anger, quick to judgement and slow to love people I don't know (and a few I do). I am also quick to let words fly out. Words I don't mean and words I shouldn't use. Some of them of the four-lettered nature. I have been telling him the Easter story. He may only be a few months old, but it is never too early to teach him of God's grace, mercy and forgiveness. Those are three things I have lacked in my own life. And I am praying that God will clean out that rubble in my spirit, give me compassion and forgiveness. I have also been praying that Jesus would take control over the words I speak. This is hard for me. Very hard for me. Extremely hard for me. I have been hurtful. I have used my words as a weapon. Can I teach my son of God's ultimate grace and in the same breath make a snarky comment to my husband? That's a conflicting message, don't you think? So as we dress for Easter this morning and I thank God for sending His son to die for my sins, I will also be asking him to help me be an example of His grace in my own home.